My Sister-in-law is having a girl so I had the perfect chance to sew up a cute little dress! 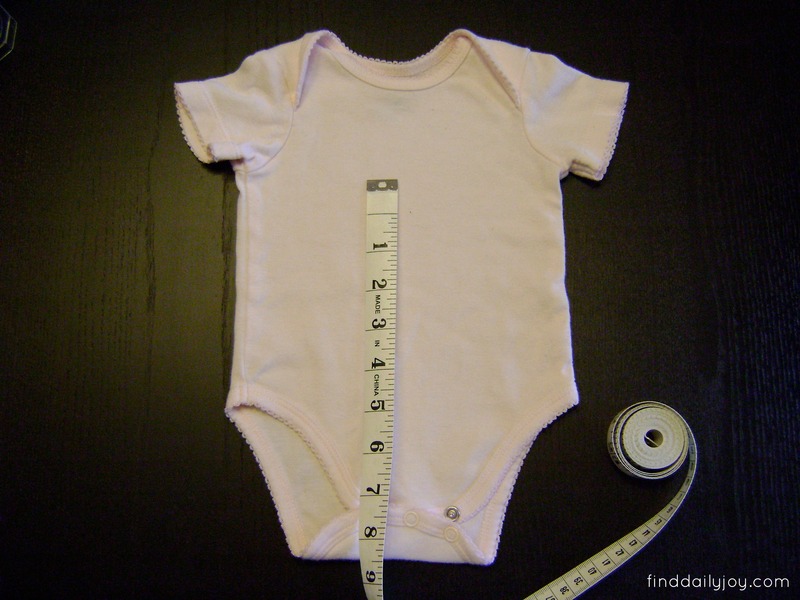 Since this onesie dress is fast and easy to construct it not only makes a perfect baby shower gift but it is also a great way to utilize those random onesies that don’t quite match anything else. As an added bonus, the onesie is a built in diaper cover which eliminates the need to make matching bloomers. 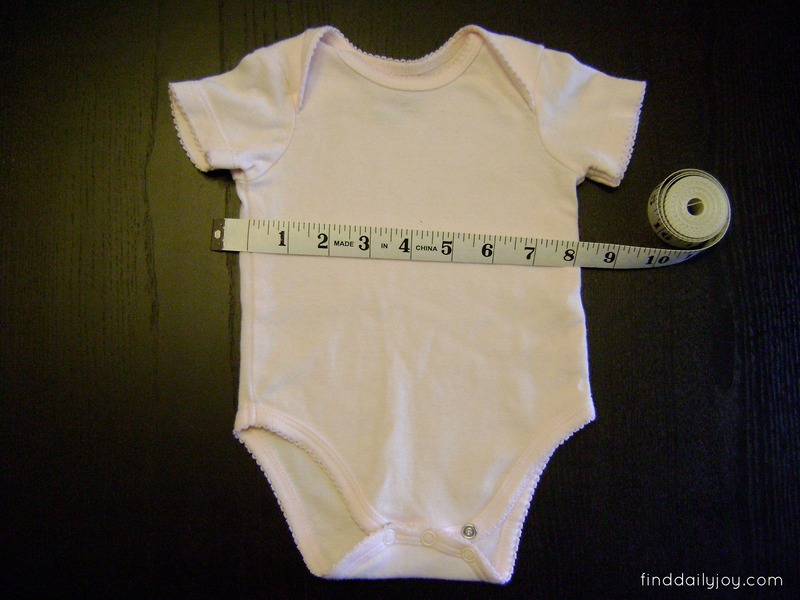 Measure the width of your onesie and multiply the number by four to determine the width of the skirt fabric. Measure the finished length of the skirt (from where you want to sew the skirt at the waist to where you want the bottom of the skirt to be) and add 1 1/4″ to determine the length of the skirt fabric. 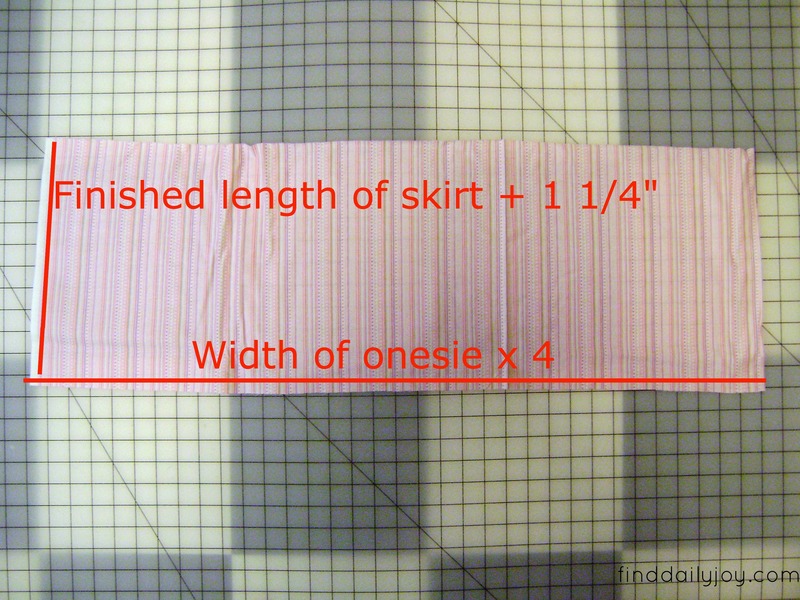 Cut your skirt fabric based on your math. 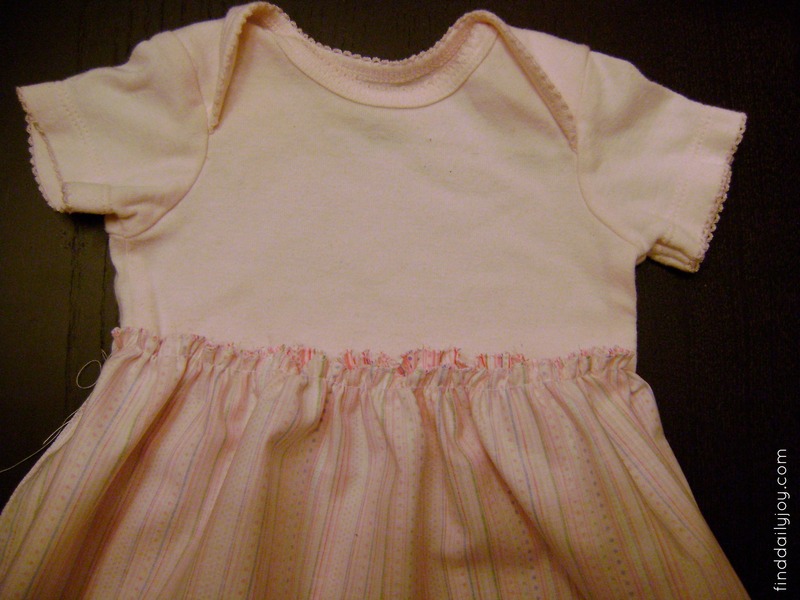 For my 0-3 month onesie the width of the onesie was 8.5″ and the finished length of the skirt was 10″ so I cut my fabric 34″ x 11 1/4″. 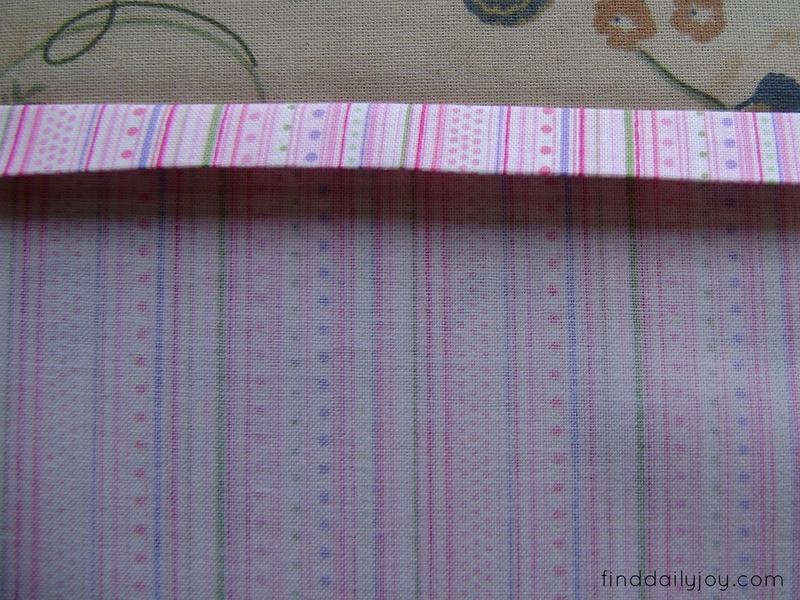 Along one of the widths of the skirt sew a small zig zag stitch near the edge of the fabric. 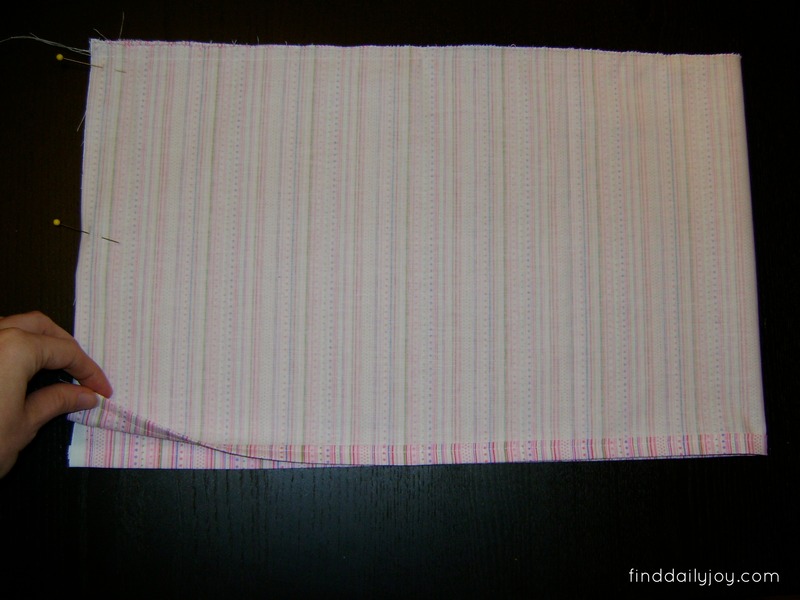 This seam will be exposed and the zig zag stitch will help keep the fabric from raveling. 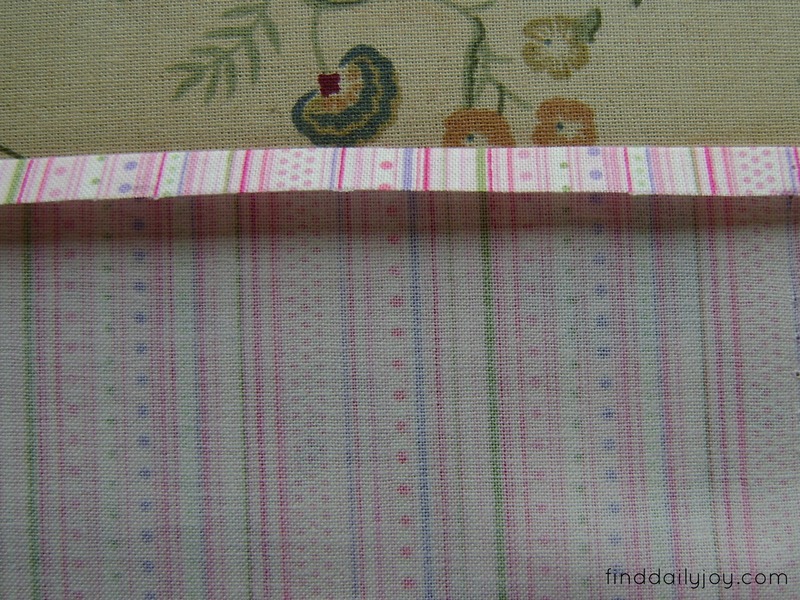 Then along that same edge of fabric sew a basting stitch 1/4″ from the edge. Be sure not to backstitch or tie off the ends of the threads from your basting stitch. 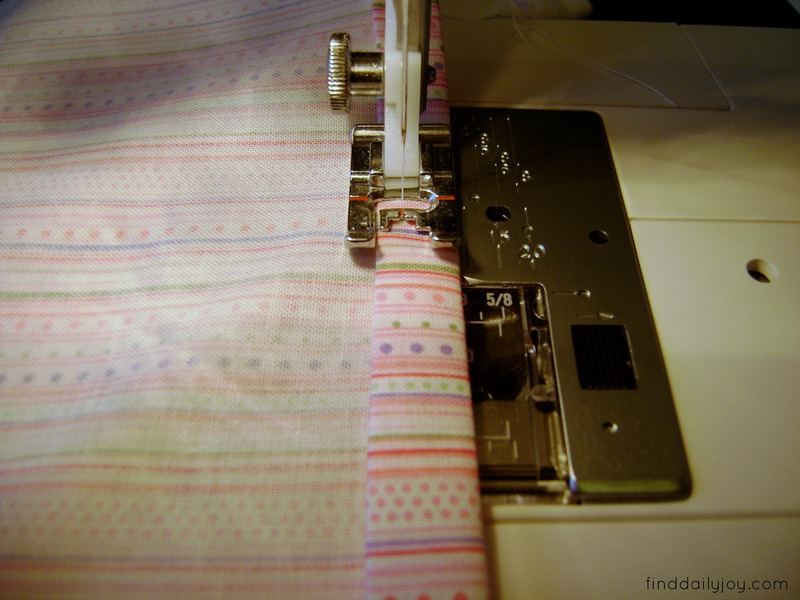 To hem the bottom of the skirt, fold the fabric under 1/4″ and press. 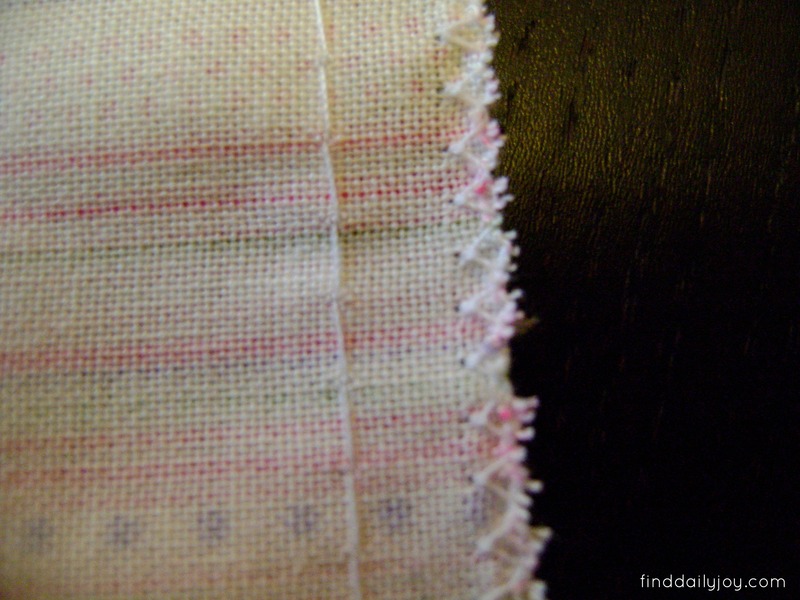 Then fold the hem under 1/2″ and press. Stitch along the hem close to the first fold. Now gently pull one of the threads from your basting stitch to gather up the top of your skirt. Continue to gather the skirt until it is the width of your onesie. 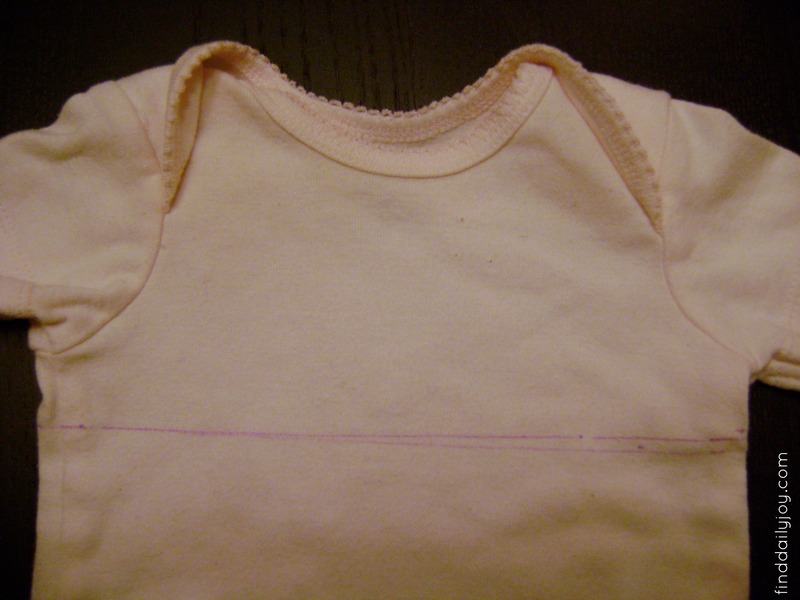 With a disappearing ink fabric pen draw a line across the front and back of the onesie indicating where you want the top of the skirt to be attached. To help you make a straight line you may want to measure the same length down from under each sleeve. As you can see, my attempt to eyeball the line the first time didn’t work out. With the onesie right side out and the skirt wrong side out, slide the skirt over the onesie with the bottom hem up towards the neckline. Then pin the skirt in place along your line. Sew along the skirt 1/2″ from the edge. 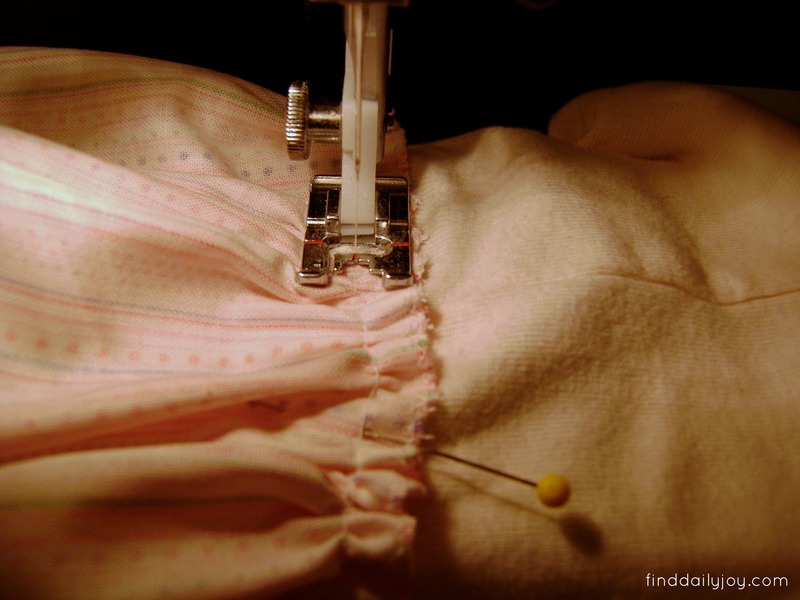 Pull the skirt down into place and press along the skirt seam. Now it is time to add some fun embellishments! I rummaged through my spare buttons and sewed on a few that coordinated with my fabric. You could add a pretty flower or use ribbon to make a bow or ruffles. Feel free to go crazy and make your dress super cute. Now I just have to wait for the sweet little girl to arrive! Thanks for this terrific idea. Our daughter just had a baby girl so I plan on getting busy! That is adorable! It looks so easy too! Cute! 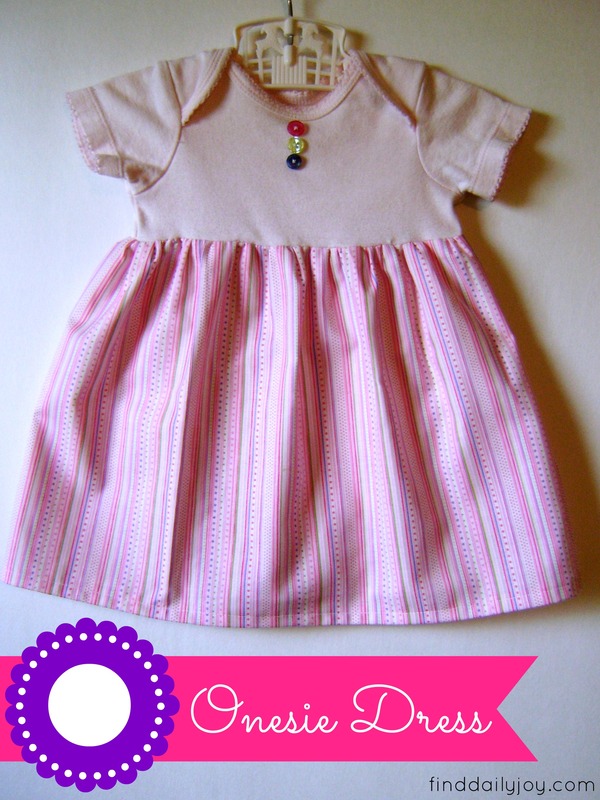 Onesie dresses are so fun to make! hank you for sharing at Submarine Sunday!! So cute! 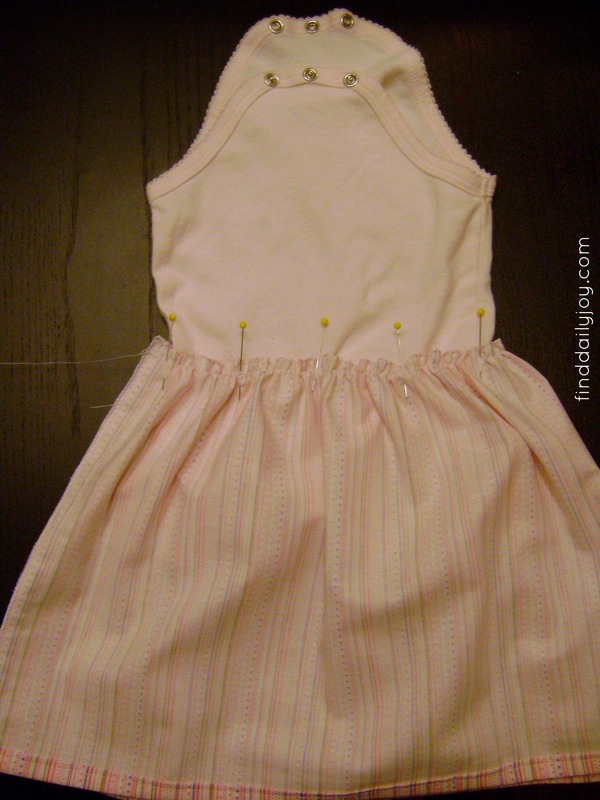 Do you slightly stretch the onesie as you sew the skirt to it? No, I didn’t stretch the onesie as I sewed. The onesie I had was not new and so it was already pretty stretched out. Thanks so much to stopping by and for subscribing! Thanks! I am anxious to try this for my ‘sweeti’ little grand daughter! Can you tell me an approximate measurement from the bottom of the sleeve to the line where the skirt will be attached? Or does it really matter that much ….. It doesn’t really matter all that much. 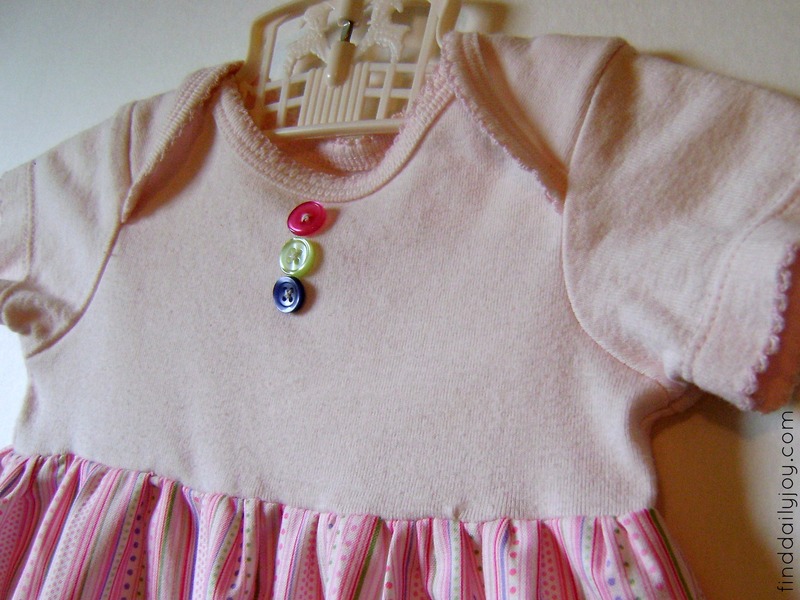 I have given the dress away as a gift so I can’t tell you an exact measurement but it was around 1″ – 1 1/2″. Hope that helps! They are fun, fast and addicting! Wow! such a good idea. Thank you for sharing. Your welcome! 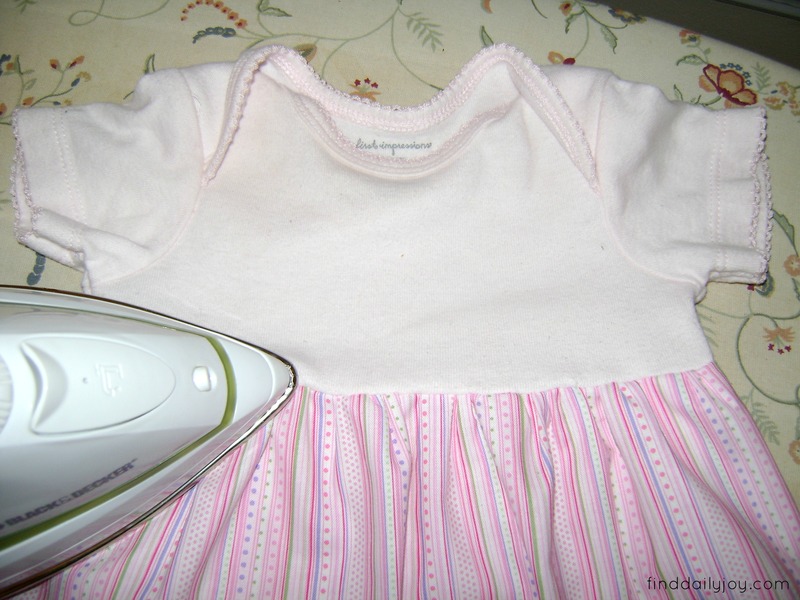 Hope you have fun making a sweet little dress.